On September 26th, Procurement Technical Assistance Centers (PTACs) in all 50 states (plus Guam, Puerto Rico, and the Virgin Islands) will celebrate PTAC Day—a collective campaign to celebrate the contracting successes of the small businesses who have benefitted from training and technical assistance from their local PTACs. 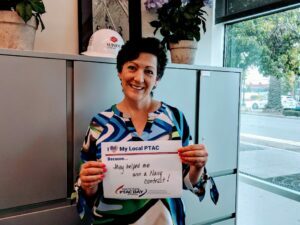 National PTAC Day will unite the ninety-five Procurement Technical Assistance Centers (PTACs) and the 48,000 clients they serve by sharing, in real time, small business success stories and the significant economic impact that PTAC clients have created within their communities. This special day will be celebrated with social media campaigns, public relations initiatives, online and in-person events and more. To learn more about what your local PTAC is doing to celebrate, locate them here. If you can’t make the webinar, please show your support by tweeting or posting on other social media about your contracting success or how PTACs have helped your business by using the hashtag: #PTACDay.